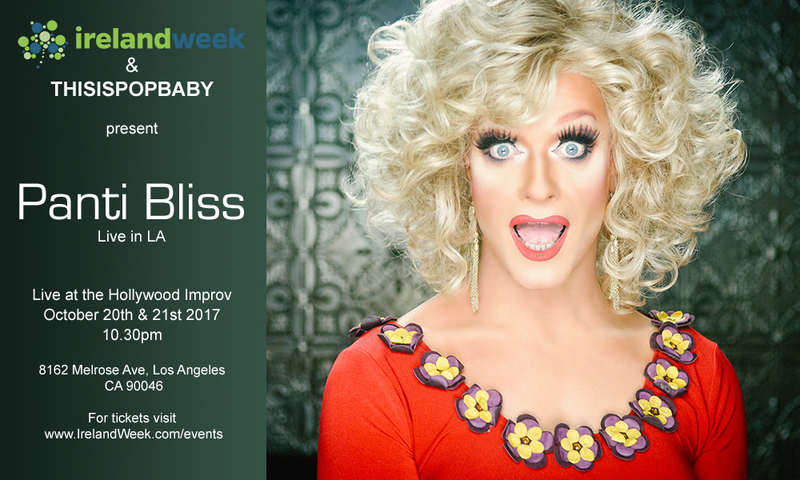 IrelandWeek's Panti Bliss: Live in LA, The Queen of Ireland shares her gender-discombobulating, stiletto-shaped world, exposing the stories behind the makeup - from performance giant to accidental activist. IrelandWeek's Panti Bliss: Live in LA, The Queen of Ireland shares her gender-discombobulating, stiletto-shaped world, exposing the stories behind the makeup – from performance giant to accidental activist. Place: Hollywood Improv, 8162 Melrose Ave.